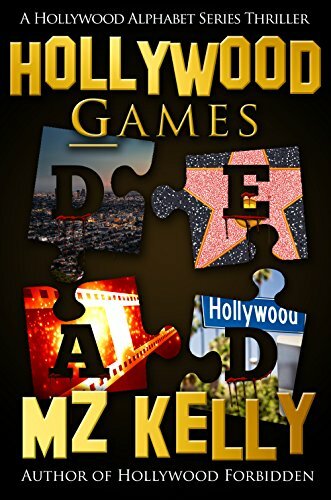 Hollywood Games is a puzzle that begins with a tough but vulnerable cop trying to put her life back together. Add in a hyperactive canine partner who's already sired a love-puppy named Bubba, a new homicide partner who is allergic to dead bodies, and Kate's meddling best friends, Natalie and Mo, who think they're the world's greatest private detectives. The puzzle pieces are scattered when a high-profile realtor is found murdered, floating in his hot tub, and his partner looks good for the crime. But Kate isn't convinced and works the case until she realizes the killing might have ties to the victim's many love interests and the largest gang in Hollywood. The final pieces of the puzzle come into play when Kate's love life takes an unexpected turn, she has to move on short notice with her friends into a spooky dilapidated mansion owned by a deceased actor, and the city is threatened with a gang war. Join Kate as she struggles to repair a personal life that's gone off the rails while she tries to solve a crime with more twists and turns than a street in the Hollywood Hills. Throw in equal parts of humor and suspense, and you've got Hollywood Games, the seventh novel in the funny, crazy, wild lives of Detective Kate Sexton and her canine partner, Bernie.